IN APRIL this year star SASI athlete Taneka Kovchenko's sporting world caved in when she was forced to withdraw from the Australian diving team which was about to compete at the Commonwealth Games on the Gold Coast. A shock diagnosis from a neurologist showed that Taneka could have been at risk of becoming a quadriplegic if she continued diving - her C1 and C2 vertebrae in danger of compressing her spinal cord with one dive. Since the crushing realisation that her diving career of about 14 years and representing Australia in the sport she loved was over, Taneka has involved herself with helping SASI's young divers. She often filled in as a coach/mentor while SASI coaches were away with teams involved in competitions. On the side Taneka also joined an athletics/fitness program Team Tempo run by Adam Didyk and worked on learning sprinting and training techniques under coach Andrew Beck. 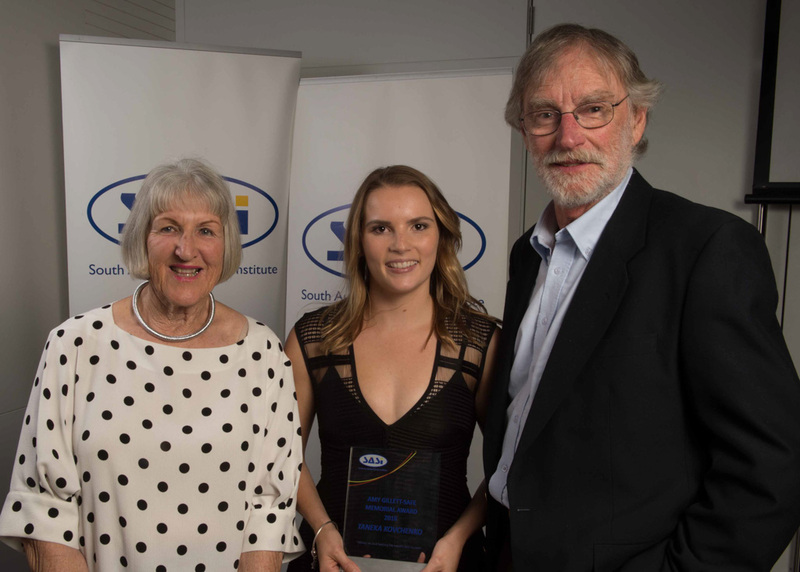 Taneka recently was recognised for her support and effort to make a difference by winning the Amy Gillett-Safe Memorial Award, named after champion athlete and professional cyclist Amy Gillett-Safe who was killed in a training accident in Germany in 2005. Taneka said she was honored to win the award. "To be awarded that was so special and to meet Amy's parents Mary and Denis was an honour," Taneka said. The awards marked a small closure in Taneka's physical link with South Australia having recently relocated to her home state of Queensland. Taneka, 23, and orignally a member of the Queensland Academy of Sport, (SASI equivalent) has been asked to help out at the academy to cover coaches who are away and to mentor/coach young athletes in a program which helps athletes move between local clubs and the QAS. She also would love to pursue her own athletics career, targeting sprinting as her main pursuit. Her earlier prognosis ruled out any contact sport. "Originally I just wanted something to do to keep me fit and athletics seems to be the one thing I could do without risk of injury or contact like in a team sport,'' Taneka said. "I am seeing a neurologist soon and hopefully will get the all clear." She also plans to study occupational therapy at the Australian Catholic University.